Beihai garden is an imperial palace with extreme artistic achievement. It is one of the oldest royal gardens existing today. Inspired by ripples on the lake in Beihai garden, the connotation of lake water is integrated into design ideas. 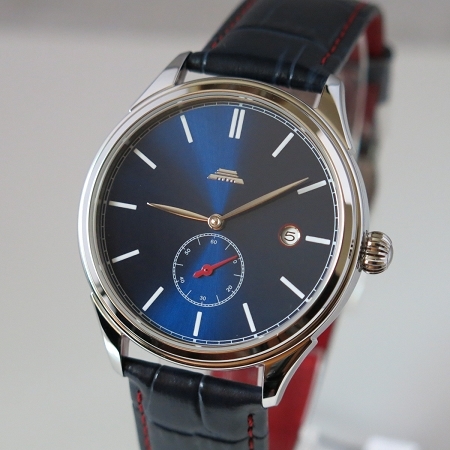 The front dial is decorated by “Beijing red”, breaking men’s watches’ traditionally dull pattern. Equipped with classical 3/4 plate B18 movement, limited edition meticulously manufactured. Copyright Times International. All Rights Reserved. eCommerce Software by 3dcart.